A recent article highlights high-profile cases of alleged coronary-stenting overuse. It’s just the tip of the iceberg. "When stents are used to restore blood flow in heart-attack patients, few dispute they are beneficial," writes Peter Waldman, David Armstrong, and Sydney P Freedberg in Bloomberg BusinessWeek . But heart attacks account for only about half of stenting procedures. Among the other half —elective-surgery patients in stable condition—overuse, death, injury, and fraud have accompanied the devices use. The article cites thousands of pages of court documents and regulatory filings, interviews with 37 cardiologists and 33 heart patients or their survivors, and more than a dozen medical studies. As per Texas Medical Board, Dr Samuel DeMaio is said to have implanted 21 coronary stents in one patient over an eight-month period. The patient's later death was related to the placement of unneeded stents. Dr John McLean of Salisbury, MD, was convicted of billing for unwarranted stenting. He argued that inappropriate usage is widespread, and [he] was prosecuted for behavior that’s the industry norm. Baltimore cardiologist Dr Mark Midei, license was revoked in 2011 when the Maryland Board of Physicians found he falsified records to justify unwarranted stents. The hospital where Midei worked, St Joseph Medical Center in Towson, MD, paid the government $22 million without admitting liability as a part of settlement. One should continuously (beaded rosary) control the fire (solar plexus) within by using our sharp intelligence (sword) and balancing the mind (Trishul) by focusing on one point (arrow and bow), practicing detached attachment (lotus), accepting things as they are (Kamandalu) and killing the negative energies by using gada (power) when needed. Chadraghanta is worshipped on the third day of Navratri. SHE is shown with golden skin and riding a tiger. She is depicted with ten hands and 3 eyes with a crescent moon on the head. Eight of HER hands display weapons. The rest two are in the mudras or gestures of boon giving and stopping harm (Varada and abhay mudra) indicating protection. 3. Cace (power to destroy the evil). In Ayurveda SHE represents the control over the fire element. In Yogashstra SHE represents the solar or Manipura Chakra with the Bija sound RAM. Sound of her bell terrifies demons as well as all enemies. SHE represents protector and bravery. Most of us take Einstein’s name as synonymous with genius, but he didn’t always show such promise. Einstein did not speak until he was four and did not read until he was seven, causing his teachers and parents to think he was mentally handicapped, slow and anti–social. Eventually, he was expelled from school and was refused admittance to the Zurich Polytechnic School. It might have taken him a bit longer, but most people would agree that he caught on pretty well in the end, winning the Nobel Prize and changing the face of modern physics. Medical council of India(MCI)was superseded in May 2010 and replaced by Board of Governors(BOG) of 7 members by Central Government by issuing ordinance for a period of one year which was extended for another 2 years by promulgating ordinance 3 times. In last three years 3 times Board of Governors have been changed by central Government. MCI records show that it has received complaints in respect of 33 doctors against whom CBI has filed FIR / charge sheets before competent Courts since Board of Governors(BOG) took over. However, it has taken action against only 3 doctors out of 33, viz. (1) Dr. Rakesh Verma; (2) Dr. Ketan Desai & (3) Dr. S.C. Jaiswal. Interestingly, the then BOG took 10 months to take decision of suspending registration of Dr. Rakesh Verma, 2 months in case of Dr. S.C. Jaiswal whereas only 1 day in case of Dr. Ketan Desai. Further, out of these 3 doctors, suspension has been revoked in the cases of only 2 doctors though allegations by CBI against all 3 doctors are similar in nature - i.e. Dr. Rakesh Verma even though the investigation is still pending & Dr. S.C. Jaiswal was convicted by CBI Court. Removal from register has to be for a limited period. The period specified for removal has to expire. It is a matter of record that the FIR filed by CBI and the criminal case against Dr. Rakesh Verma then was, and in fact till date is, still pending and the matter was sub-judice. Thus Section 8.3 of Code of Ethics was squarely not applicable. However, its wrong application was made to revoke suspension of registration of Dr. Rakesh Verma but strangely, even though facts were similar, such revocation was not done for Dr. Ketan Desai even though the nature of facts was similar. It must be appreciated that World Medical Association is an NGO and has nothing to do with the functions, duties etc. related with the Medical Council of India. It is also important to appreciate that Dr. Ketan Desai was not elected as the President of WMA being a representative of Medical Council of India. Rather, neither Medical Council of India nor any of its officials had anything to do with his election as President of WMA which had taken place way back in October 2009 at the world conference of Medical Associations with which MCI was not concerned at all. Hence the averments made by the then officiating secretary, MCI in his letter to CBI were patently false and not supported by facts. How and by which sources office of MCI had obtained/received a copy of the application of Dr. Ketan Desai to go to abroad in the competent court is also a serious question which needs to be answered by MCI as these types of applications are strictly confidential and are available only to the concerned parties. They are not available to any on else. Medical Council of India not being a party to the case could not be in possession of this application legally and it would have been a fraudulent act on the part of the then Medical Council of India to procure such applications from the competent court unauthorized. Further, what are the evidences/documents which were available at that point of time with the Medical Council of India on the basis of which it was stated in the said communication dated 07/10/2010 that “Dr. Ketan Desai has fraudulently obtained the order from the Court”. This also raises an important question of law. Under which authority the the then Medical Council of India requested the CBI by the said communication that CBI should prefer immediately an appeal against the order of Learned Magistrate directing release of the Passport of Dr. Ketan Desai? In this letter to CBI it was further mentioned “that Board of Governor strongly feel that a tainted person must not be given opportunity to represent doctors of India at World level. Dr. Ketan Desai is an accused in six cases of heinous nature. The Board of Governors is having an apprehension that he may flee out of the country and he is using this as pretext to run out of the country”. In this context what are the documents/ evidences in possession of the Board of Governor by which they have made this statement that he would flee out of the country in the said communication and under what provisions of Act, Rules and Regulations under which the Medical Council of India had tried to play the role of police authority by stating that Dr. Desai may flee out of the country and may use this as pretext to run out of the country. What are the documents/evidences which were available with the Medical Council of India by which it was stated in the letter that Dr. Desai is accused in six cases which are heinous in nature. What is the source of information by which the Medical Council of India had procured the documents stating that Dr. Desai is accused in six cases which are heinous in nature. Lastly, at the end of the letter it was stated that the Additional Secretary has been further directed to note that “the matter has also been referred to the Ethics Committee by Board of Governors for initiating appropriate proceedings against Dr. Desai for committing professional misconduct”. Records clearly show that a complaint against Dr. Desai was received on 8th October, 2010 by fax from an NRI Dr. Kunal Saha and the office has initiated the process to place this complaint of Dr. Saha to Ethics Committee on the same day. If this is so, than it is evident that no complaint was available with MCI on 7th October 2010. Than who had directed the Additional Secretary to write to CBI on 7th October, 2010 i.e. a day before a complaint was received that the matter of Dr. Desai has already been referred to Ethics Committee whereas the matter was referred on 8th of October. This creates a suspicion in anybody’s mind that how the Medical Council of India has manipulated and pre-empted the sequence of action and wrote a letter to a premier investigating agency like CBI containing false statements. Further very interestingly on 7th October, 2010 another letter was also sent under the signature of Additional Secretary of Medical Council of India to the Secretary General, World Medical Association stating that “Dr. Ketan Desai has no authority in law to represent Medical Council of India in the said conference”. Though no charge sheet had been filed by CBI in any of the cases till then, it was stated that “Dr. Desai had been indicted in India ”. How? Moreover by which authority, the Additional Secretary in the said communication stated that “in all fairness the current Chairman of Board of Governor of Medical Council of India, an academician and educationist Prof. S.K. Sarin should take over the coveted position. He would be able to provide valuable inputs and leadership to this August Body”. These two communications of dated 7th October, 2010 addressed to Director, CBI and Secretary General of World Medical Association show a clear sense of conspiracy that Medical Council of India had suddenly proceeded with the suspension of registration of Dr. Ketan Desai within a span of 36 hours to ensure the Presidentship of World Medical Association for Dr. S.K. Sarin. Let us now come to the issue of suspension of registration of Dr. Ketan Desai. Very strangely on 8th October, 2010 an appeal of Dr. Saha, an NRI doctor was received by Fax. Suddenly the Medical Council of India felt an urgency to take necessary action on the appeal of Dr. Saha on the issue of registration of Dr. Desai with the Indian Medical Council. Immediately office had processed and moved the file and complaint of Dr. Kunal Saha along with a 8 page resolution recommending suspension of registration of Dr. Desai were sent to all members of ethics committee of MCI at late night by email at 9.34 pm on the same day-i.e. 08/10/2010 for their approval. Copy of application of Dr. Desai in Court, Court order of CBI Court, and Letters addressed to Director CBI and WMA were also attached. Does not the act of sending 8 page resolution which was to form decision of Ethics Committee to members of Ethics Committee as agenda note mean that higher ups in MCI had already decided the matter and the matter was being sent to the members of Ethics Committee only as an eyewash ? Is the final decision to be adopted sent as a part of agenda note? That too at late night? It is also significant to note that actual FIRs filed by CBI were not attached with this communication. This fact assumes significance when viewed in light of the language of the resolution stating that we have perused the copy of FIR and found serious allegations in it prepared on behalf members of Ethics Committee. Mute question is, who has prepared resolution in the Medical Council of India office of 8 pages which was sent to all the Member of Ethics Committee along with the agenda note? Further, as per reliable sources, there is no document showing approval of resolution of suspending registration of Dr. Desai of any member of ethics committee either by email or telephonically. Similarly there are no documents of notice of meeting and the agenda of the meeting of Board of Governors held on 9th October, 2010 passing the resolution by approving the recommendations of Ethics Committee on the issue of suspension of registration of Dr. Desai. It is not clear how and when the responses from the members of Ethics Committee were received by MCI and how were they recorded / noted. MCI has reason to believe that there is no justified reason for not deciding the complaint within the said prescribed period . Complaint was filed by Dr. Kunal Saha with Gujarat Medical Council on 05/05/2010. The period of six months with regard to this complaint of Dr. Saha would have been over on 06/11/2010. The so-called Appeal was filed by Dr. Kunal Saha which was received in office of MCI by fax on 08/10/2010 – i.e. before the period of six months as prescribed under the Regulations was over. Office of MCI processed this so-called appeal on 08/10/2010 itself and placed it before Ethics Committee by sending eMails on 08/10/2010 to members of ethics Committee on 08/10/2010. The decision of Ethics Committee was stated to be placed before the Board of Governors on 09/10/2010. Both these events took place before the prescribed period of six months was over. No attempt was made by office of MCI to verify the contents of the so-called appeal of Dr. Kunal Saha with Gujarat Medical Council or to impress upon Gujarat Medical council to decide the complaint before deciding upon the appeal. No attempt was made to find out progress of the complaint from Gujarat Medical Council either. 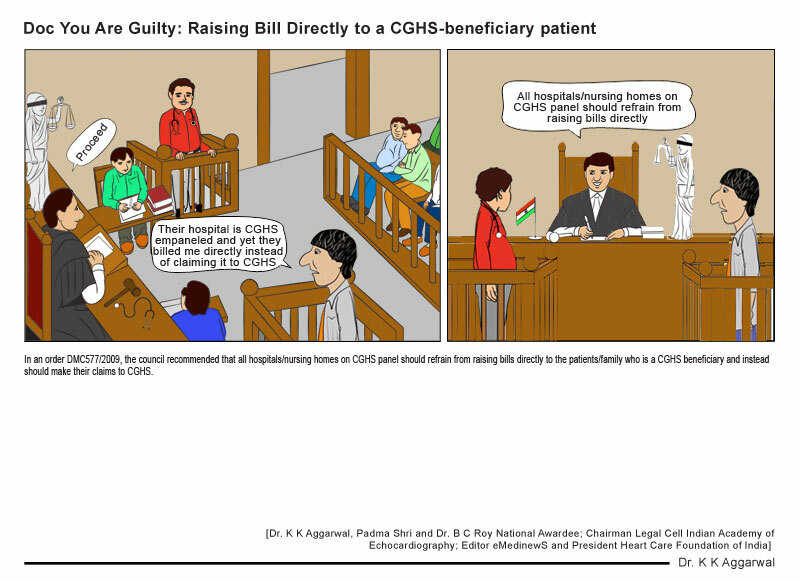 By deciding upon the appeal on 08/10/2010 by Ethics Committee and on 09/10/2010 by BOG, the Statutory requirement of the period of six months available for the Gujarat Medical Council which would have been over only on 06/11/2010 was breached. The mandatory preconditions for invoking clause 8.7 being non-existent, the entire exercise by the then BOG is void ab-initio and a nullity. As there was no attempt to obtain any clarification from Gujarat Medical Council or to verify the veracity of facts stated in appeal or to know progress of complaint from Gujarat Medical Council, there was no way by which MCI would be able to come to conclusion that there is no justified reason for not deciding the complaint within the said prescribed period. Sub-section (i) of clause 8.7 entails that MCI needs to impress upon the State Medical Council to conclude and decide the complaint within a time bound schedule. Sub-section (ii) of clause8.7 entails that first MCI has to decide to withdraw the compliant to itself before referring the matter to Ethics Committee. Clearly this cannot be done without giving an opportunity to Gujarat Medical Council to explain its stand in the matter. Records of MCI show that this has not been done. Record of MCI shows that nothing was done to satisfy both these statutory requirements. MCI did not impress upon Gujarat Medical Council to conclude and decide the complaint within a time bound schedule . There is no decision on record of MCI to withdraw the complaint to itself before it was referred to Ethics Committee. Both these acts are violative of conditions precedent of a statutory requirement as MCI could not have proceeded to decide the complaint / appeal itself unless and until they were fulfilled. Interestingly the FIR which was the basis of suspension of registration of Dr. Desai also includes names of other doctors as accused, charged under the same section of IPC and Prevention of corruption Act, 1988 but no action had been taken by MCI against any of them till date. The above-mentioned provision of clause 7.7 has no applicability whatsoever and could not have been invoked for suspending the registration of Dr. Ketan Desai. Thereafter immediately on the same day i.e. on 9.10.2010 by email at late night Vide a communication dt.09.10.10, Medical Council of India had informed Dr. Ketan Desai suspending his registration pending inquiry and copy was sent to Gujarat Medical Council(GMC) for necessary action. The GMC had sought the opinion of Hon’ble Mr. Justice A.M. Ahmadi, the former Chief Justice of India. On the examination of the relevant provisions of the Indian Medical Council Act, 1956 as well as of GMC and the regulations made thereunder, the written legal opinion was given by Hon’ble Mr. Justice A.M. Ahmadi to GMC. 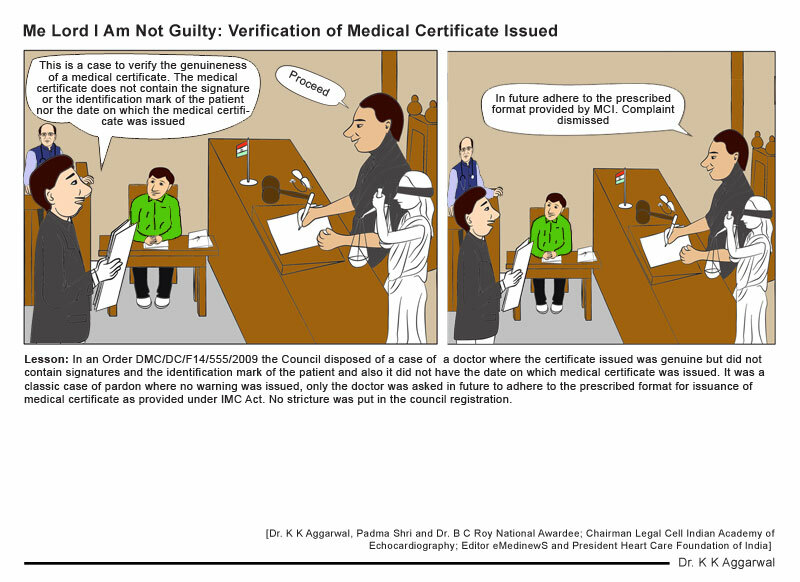 It was advised that the MCI had no jurisdiction or authority to suspend the registration of any doctor enrolled/registered with any State Medical Council and the MCI also does not have the jurisdiction to issue any direction to any State Medical Council for suspending the registration of any medical practitioner enrolled / registered with any State Medical Council. The legal opinion given by Hon’ble Mr. Justice A.M. Ahmadi was then placed before the General Body of the GMC in its meeting held on 2nd December 2010. It was duly considered. After due deliberations the decisions of the General Body of the GMC was communicated to the MCI vide a letter dt.03.12.2010 along with the copy of written opinion of Hon’ble Mr. Justice A.M. Ahmadi. The record of the MCI would bear a testimony to the fact that GMC had thereafter not received any communication from the MCI indicating/expressing any disagreement with the decision of the General Body of the GMC based upon the legal advice given by Hon’ble Mr. Justice A.M. Ahmadi. It would also be crucial and relevant to highlight here that the record of the MCI contains a complaint made by one Mr. Manohar Malik giving the names of 21 doctors including that of Dr. Ketan Desai against whom criminal cases had been registered by CBI. This complaint had been considered by the Ethics Committee of the MCI in its meeting held on 01.12.11. It was decided by the Ethics Committee of the MCI that in the case of all these 21 doctors including Dr. Ketan Desai, the registration cannot be suspended as per clause 7.5 of Indian Medical Council (Etiquette and Ethics) Regulations, 2002 as in none of the cases any of the registered medical practitioner including Dr. Ketan Desai have been “convicted” by a competent court of law. The minutes of meeting of the Ethics Committee dt. 01.12.11 containing the above-mentioned decision was available on the website of the MCI. Once Dr. Desai was stopped of taking charge of the President of World Medical Association, the Medical Council of India has suddenly become sluggish to proceed further on the issue of taking a final view on the suspension of registration of Dr. Desai as in consecutive three meetings, the matter was deferred under the pretext that opinion of Senior Advocate be obtained and after 10th May, 2011 meeting wherein it was decided to give one more opportunity to Dr. Desai for further hearing, no opportunity was given by the Medical Council of India till date. Simply nothing has been done by MCI. Total silence and total inaction! Discriminatory attitude of MCI becomes evident when one considers other similar cases. Number of complaints were received in MCI against other doctors against whom the CBI had filed FIRs thereafter. The consistent view of Medical Council of India in all other cases except that of Dr. Ketan Desai and 2 others (i.e. Dr. Rakesh Verma & Dr. S.C. Jaiswal) is that under Regulation 7.5 of Code of Ethics, Medical Council of India has no authority / jurisdiction to suspend a registration of any doctor registered with the Medical Council unless and until the person is convicted. But this is not applied uniformly in all cases. In case of Dr. S.C. Jaiswal, he was convicted by CBI Court vide order dt. 22/10/2010 for taking bribe and a punishment of six months of rigorous jail was awarded. This matter was considered by Ethics Committee at its meeting dt. 10/05/2011 and it was decided to suspend his license without specifying the period of suspension as the Ethics Committee felt that “strict action should be taken against the doctor who has been caught by CBI and convicted by a Court of law”. Subsequently, Ethics Committee at its meeting dt. 19/06/2012 while considering the representation from Dr. Jaiswal decided that the period of suspension already awarded to him be treated as punishment to him taking into account “the order dated 24/11/2010 of the High Court suspending his prison term during the pendency of his appeal and the fact that he is more than 63 years old”. Bare reading of this decision makes it clear that Hon’ble M.P. High Court had only suspended his sentence during the pendency of his appeal and had not stayed the conviction awarded by CBI Court. Thus clearly revocation of suspension of license and treating the period of suspension as punishment in his case suffered from a serious defect which cannot be justified as Section 7.5 of Code of Ethics which deals with misconduct, which includes conviction by Court of law was still applicable in this case. Further, perusal of entire records does not show when this decision of Ethics Committee dt. 19/06/2012 was approved by the Board of Governors. Even the communication sent to him conveying the decision of Ethics Committee did not make any mention of the decision of Ethics Committee having been approved by the Board of Governors. In absence of approval by Board of Governors, how could this decision of Ethics Committee become final or it could have been communicated to Dr. Jaiswal is also a question which needs to be answered by MCI. In case of Dr. N.K. Ganguly former Director of ICMR, New Delhi, CBI had filed a charge sheet before the competent Court under Prevention of Corruption Act and due cognizance of the charge sheet was taken by the Court. Eight accused have been sent to Jail by the competent court. However no action was taken by MCI for a long time. Even when the matter was placed before Ethics Committee at its meeting dated 26-27 April 2013, the Ethics Committee, instead of suspending his license as it had done in similar cases of Dr. Desai, Dr. Verma & Dr. Jaiswal in immediate past, did not recommend any action on the ground that “the charges are administrative in nature and not of medical negligence and the matter is sub-judice in the Court of law.” This is indeed a very peculiar decision. The very same then Ethics Committee of MCI, which had decided to suspend registration in 3 cases mentioned above in which the charges were administrative in nature and not of medical negligence and the matter was sub-judice in all 3 cases. However, in the case of Dr. Ganguly, Ethics Committee decided not to take any action ! Why ? This decision of ethics committee was approved by BOG in its meeting held on 05.06.2013. Surely MCI needs to answer this question as such decisions cannot be at the whims and fancy of the members. All such decisions have to be taken on a uniform basis by a Statutory Regulatory body. In case of Dr. Anbumani Ramdoss former union Health minister, CBI had forwarded copy of charge sheet filed before competent Court on 22/04/2013. However, MCI has failed even to initiate any action on it, leave aside taking a decision even though more than 5 months have passed since it received the complaint. From the above discussion, it appears that Medical Council of India has adopted “Pick & Choose Policy” in the matters of enforcing Code of Ethics. In certain cases, it has suspended the registration on the basis of FIR filed by CBI selectively. In some cases, the suspension of registration was later revoked stating that still the concerned doctor is not convicted and in some of the cases registration was not suspended at all stating that as they are not convicted or the charges are administrative in nature. Very interestingly in case of Dr. Ketan Desai though he was given clean chit in Disproportionate Case and other cases at Hyderabad, Chennai, Kolkata by CBI as well as competent Court, till date MCI had not even processed his file to revoke the decision to suspend his registration. Further, the minutes of meetings of either Ethics Committee or Board of Governors are totally silent on this vital issue. The fact is that Medical Council of India has no jurisdiction/ authority to suspend the registration. Clinicians who use the anti-inflammatory agent sulfasalazine to prevent diarrhea in cancer patients undergoing pelvic radiation might want to consider stopping, the results of a phase 3 study suggest. Sulfasalazine is currently recommended for this use in evidence-based guidelines, but it did not reduce diarrhea related to radiation therapy in this confirmatory study, said lead study author R.C. Miller, MD, from the Mayo Clinic in Rochester, Minnesota. Instead, sulfasalazine appeared to trigger the problem. Rather than preventing diarrhea, it actually caused diarrhea. The study was presented at the American Society for Radiation Oncology 55th Annual Meeting. Patients with intractable pain who appear to be stabilized on various pharmaceutical agents continue to show a variety of elevated inflammatory markers. According to findings presented at the American Academy of Pain Management (AAPM) 24th Annual Clinical Meeting, while some continue to show elevations of erythrocyte sedimentation rate (ESR) and C-reactive protein (CRP), which are generally recognized as markers of inflammation, others show different inflammatory markers, including a-1-anitrypsin (A1AT), myeloperoxidase (MPO), and soluble tumor necrosis factor-a receptor type II (TNFR II). The US Food and Drug Administration (FDA) yesterday approved a new intravenous nutritional product for adults to alleviate a shortage of such drugs. The product is lipid injectable emulsion, USP (Clinolipid, Baxter Healthcare), which supplies calories and essential fatty acids for patients who cannot eat or drink. The lipid emulsion contains refined olive oil and refined soybean oil. Although the fatty acids are an important source of energy, the ratio of omega-3 fatty acids to their omega-6 cousins in the new drug "has not been shown to improve clinical outcomes compared to other lipid emulsion products," according to the FDA. Clinicians should use lipid injectable emulsion, USP, cautiously in patients with preexisting liver disease or liver insufficiency. It is not indicated for use in patients with a known hypersensitivity to egg or soybean products, or in those with hyperlipidemia. A pet dog died of sudden unexplained death. What should be done? If facilities are available post–mortem of the dog for confirmation of rabies is required. If not possible, (or if the post mortem proves rabies) all those who came in contact with the saliva of the animal (directly or through its fomites) should be given PEP. With the growing number of children and teens surviving cancer, the late effects of chemotherapy and radiation therapy on cardiac function have become more prevalent, as highlighted by a scientific statement from the American Heart Association. More than 12,000 young people are diagnosed with cancer each year in the U.S., where there are currently about 325,000 survivors of childhood cancer, about a quarter of whom were diagnosed more than 30 years ago, according to the statement written by a group chaired by Steven Lipshultz, MD, of the University of Miami in Florida. Cardiopulmonary diseases are the leading non-cancer causes of death among childhood cancer survivors, who carry an 8- to 10-fold greater risk of cardiac death and a 10-fold greater risk of stroke, the authors wrote online in Circulation: Journal of the American Heart Association. Major bleeding complications from dabigatran etexilate (Pradaxa, Boehringer Ingelheim) in trials of atrial fibrillation (AF) and venous thromboembolism (VTE) prevention tended to be less critical and more manageable than those attributed to the warfarin comparator, suggests a new meta-analysis, published online September 30, 2013 in Circulation. The worst major bleeds, for example, tended to be gastrointestinal with dabigatran and the more daunting intracranial hemorrhage (ICH) on warfarin. At the same time, major bleeding events in the meta-analysis were no more common with the newer oral anticoagulant and were in higher-risk patients. Spontaneous echo contrast is located most commonly in the left atrium as a result of mitral stenosis or nonvalvular atrial fibrillation. Both a high prevalence of vancomycin-resistant Enterococcus faecium (VRE) colonization among newborns and uncontrolled antimicrobial use were responsible for a second wave of VRE colonization in a Greek neonatal intensive care unit (NICU) that, for a brief period, had successfully halted new cases, according to a case–control study. Elias Iosifidis, MD, from the Third Department of Pediatrics, Aristotle University School of Medicine, Hippokration General Hospital, Thessaloniki, Greece, and colleagues reported their findings in an article published in the October issue of the American Journal of Infection Control. Cultural differences might be interfering with the acceptance of the human papillomavirus (HPV) vaccine among parents of teen girls. In a small study in the Denver area, English- and Spanish-speaking parents gave different reasons for their children either not starting the vaccine or not completing the three-shot series, according to Sean O'Leary, MD, of Children's Hospital Colorado in Aurora, Colo. English speakers were worried about the safety of the vaccine, while Spanish speakers feared it might lead their daughters to be prematurely sexually active. The study was presented at the IDWeek meeting. Doctors might be able to use the findings to help them counsel parents about the importance of the HPV vaccine. Patients with underlying heart blockages or those with risk factors are at increased risk for perioperative heart attacks. Perioperative period is the time period extending from when the patient goes into the hospital for surgery until the time he/she is discharged home. The largest data on the subject comes from over 8000 patients in the randomized POISE trial of perioperative beta–blocker therapy, which has shown that at 30 days after the surgery the incidence of heart attack is 5 percent and 71 percent of these occur within 48 hours of surgery. Approximately 65 percent of patients with heart attack are without symptoms. Therefore, perioperative heart attack is not uncommon and occurs with increasing frequency as the number of identified risk factors increases. Both short – and long–term survival are decreased in patients who have sustained a perioperative heart attack. 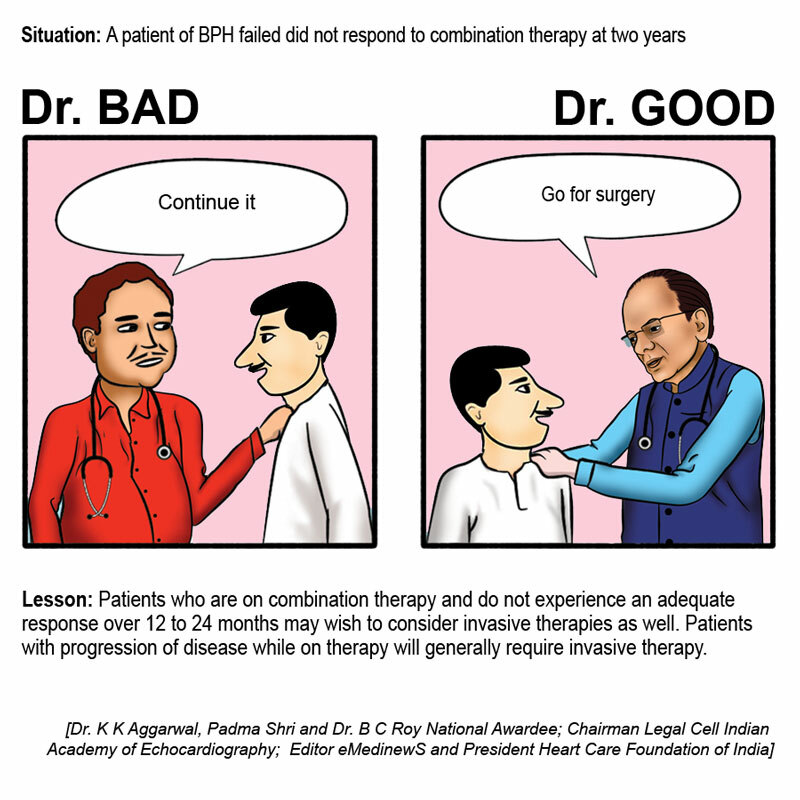 Treatment for perioperative heart attack is same as for any heart attack in the general population. However anticlotting drugs should be started carefully. Perioperative heart attack is detected by presence of an elevated heart muscle injury blood test (troponin) and one or more of the following: ischemic (heart pain) symptoms, ECG changes in two contiguous leads, coronary artery intervention (balloon dilatation or stenting), or evidence of heart attack on cardiac echocardiography or autopsy. Patients with symptoms or ECG changes suggestive of ischemia or heart attack (2 or 3 serial biomarkers). High risk is defined as high–risk surgery with one or more additional risk factors of the revised cardiac risk score. Delivering third Acharya Maha Pragya Memorial Lecture on Social Responsibility of Media, Ethics and Sustainable Development, Padam Shri and Dr. B.C. Roy National Awardee, Dr KK Aggarwal, President Heart Care Foundation of India said that doctors have social media responsibility as they often interact with the media to create health awareness. Any media interaction should simultaneously follow the ethics of communication. Dr Aggarwal said that while communicating to media doctors must ensure that they only communicate about medical facts and that too in patients own language. All facts and not fears firstly should be field tested before being communicated and should be evidence based. They should be communicated using the principles of hit the iron when it is hot and through mouth of people who counts. The communication should not sense of self–promotion, self–boosting or soliciting patients for consultation or investigations. Dr Aggarwal said that the recent media panic on dengue and swine flu has caused more harm than good to the society. Cases of rheumatic heart disease have increased because people have mixed rheumatic sore throat with swine flu and many people have died of platelet transfusion reaction when the same was not indicated. The lecture was organized by PHD Commerce and Industry and Jain Shwetamber Terapanthi Sabha Devi. The session was chaired by Member of Parliament, Dr. Abhishek Manu Singhvi and the Guest of Honour was Vir Singhvi, Advisor HT and Mr. S.Y. Quraishi, Former Chief Election Commissioner of India. Shanshree Manu Sukhlal ji was the special guest, other who gave the lectures were Swami Charitra Pragya, Vice Chancellor, Jain Vishwa Bharti, Mr. Ajay Kumar, Senior Executive Editor News Nation, Sanjay Dev, Resident Editor, Amar Ujala, Lt. Gen. Rajender, CEO, DLF Foundation. The function was organized at PHD House, New Delhi. Yesterday’s Mind Teaser: A 38–year–old woman is evaluated in the emergency department because of fever and a generalized rash. She was in her usual state of good health until 7 days ago. At that time, she rapidly developed a high fever, headache, backache, chills, and abdominal pain with occasional vomiting. Four days ago she developed a rash. It started as a red, flat rash, then it evolved into small papules, and now it consists entirely of vesicles. She takes no medications. She recalls having chickenpox as a child. On physical examination, the temperature is 104°F (40°C), blood pressure is 148/90 mm Hg, and pulse is 112/minute. She appears acutely ill and is possibly confused. She has a generalized vesicular eruption on her face, extremities (including the palms and soles), thorax, and abdomen. The vesicles are well circumscribed, round, and firm to palpation. Which of the following management options should be done next? Answer for 5th October Mind Teaser: C. About 30 percent of your daily calories.